EARRINGS - SARAH COVENTRY. "FREE STYLE" FROM 1978. 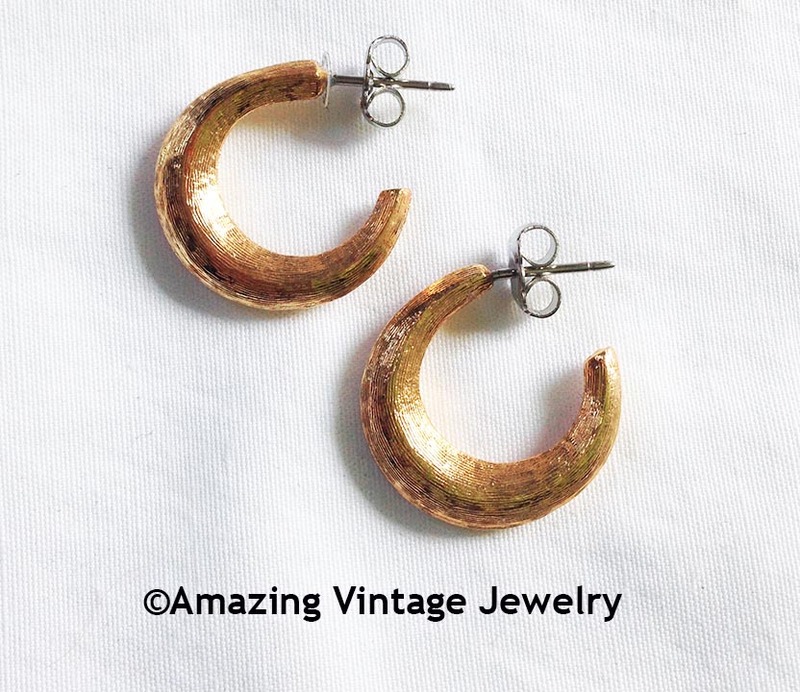 SMALL, TEXTURED GOLDTONE HALF HOOPS. PIERCED. ABOUT 11/16" IN DIAMETER. EXCELLENT CONDITION IN THE ORIGINAL BOX.